Underway Meade is a small local wildlife site in the South Somerset village of Combe St. Nicholas that has been owned and managed by Combe St. Nicholas Parochial Trust since 1998. It is just under four acres in size, enclosed by a hedge and has a grass meadow, a woodland area and a stream running into a pond. The site was designated a Local Wildlife Site in 1999 because of its flower-rich, semi-improved grassland and associated pond and stream. A group of volunteers are managing the site for nature conservation as well as a recreational resource for the local community. Lynn Osborne: lynnosborne99@gmail.com or 07803 928717. Underway Meade is a small local wildlife site in the South Somerset village of Combe St. Nicholas that has been owned and managed by Combe St. Nicholas Parochial Trust since 1998. It is just under four acres in size, enclosed by a hedge and has a grass meadow, a woodland area and a stream running into a pond.The site was designated a Local Wildlife Site in 1999 because of its flower-rich, semi-improved grassland and associated pond and stream. Species on the sloping area with less aggressive grasses included devil’s-bit scabious, black knapweed, betony and pignut. Small skipper and brimstone were just some of the butterflies recorded and there are pondskaters, whirly-gig beetles and sticklebacks in the pond. 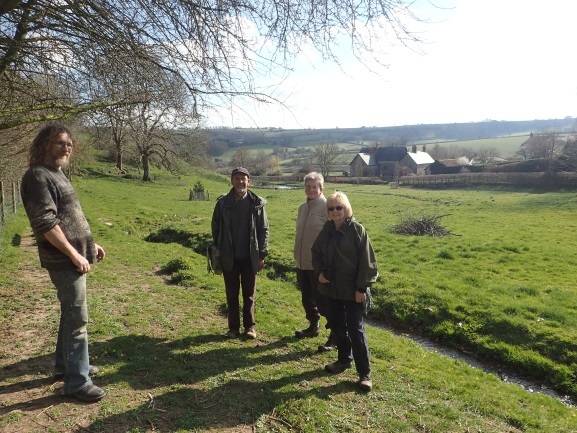 A new committee of volunteers was appointed in May 2014 to manage the site work has continued afresh on improving the site as an amenity for both wildlife and the local community. Working party sessions of volunteers usually take place on a Saturday morning from 10 am, weather permitting. If you would like to join the group to help with some of the working sessions or if you have any suggestions for the future of the Meade, please contact Lynn Osborne email: lynnosborne99@gmail.com, telephone: 07803 928717 or Visit the groups webiste for more details. This summer we were successful in getting £450 from the Wessex Water Community Grid bid to buy bird and bat boxes, and volunteers will be putting these up over the summer. A local person with a tractor has been helping cut the grass in the main meadow and very kindly charging just for the diesel. We tried to rake up by hand but soon came to the conclusion this was not going to be achievable on an ongoing basis. He is looking at making a special rake that might fit the tractor, but in the meantime he has collected up the heaps we had raked and we will have another think about future solutions. We also launched the 'Friends of Underway Meade' at the AGM and there have been a steady trickle of returned forms, but the next issue of the Cloverleaf Magazine will have a full page pull-out form which will be delivered to every home in the parish so we are hopeful that will raise the profile more successfully. 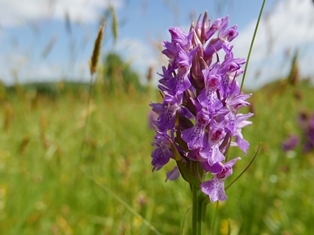 The ongoing species survey has identified 140 plant species so far, mostly on the mound and in the woodland, which will help us in deciding on priority areas for further conservation. There has also been some planting undertaken around the pond and it is looking much less sterile now with lilies and marsh marigold flowering in the last few months. 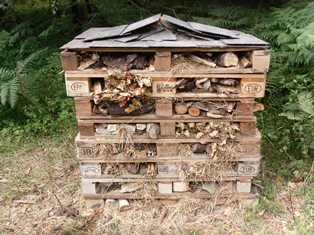 In October half term the group is aranging a bug hotel making session for families and youngsters in the village. Over the winter we will be looking at starting work on creating new footpath access onto the site to help get walkers off the busy road.